The title refers to a Stan Brakhage film I will likely never watch (I can only stomach so much), but - I'm sure I'm not the first one to note this - it could just as easily refer to what it's like to watch any of his work. It's like how in Inception, Cobb says, "She'll be back. After what she's seen, the real world won't be enough anymore." I may have gotten the exact verbiage wrong, so Inception fans, do forgive me. 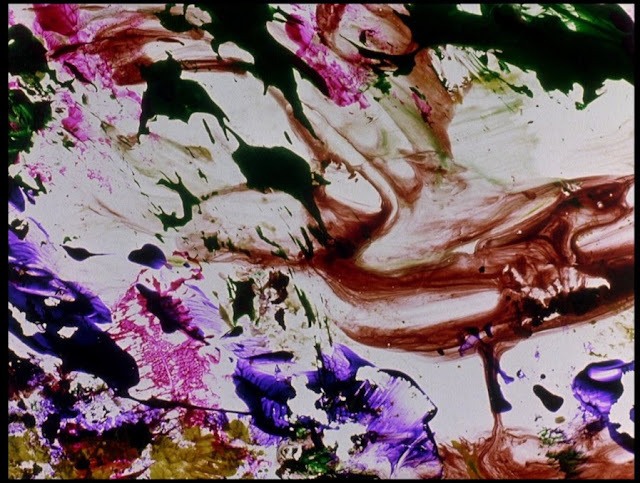 But I'll be damned if Criterion's by Brakhage Blu-Ray set isn't the most astounding thing to dance across my screen. I had toyed with buying it during the 50% off sale at Barnes & Noble, but ultimately decided it was too big a risk as I was only sort of familiar with Brakhage. Big mistake. Always dive in. *A note for literalists - I do not actually mean this.